Home Guides How Often Should I Clean My Betta Fish Tank? Although Betta fish are generally considered a non-demanding species, you can’t slack with their tank maintenance. On the contrary, a Betta tank requires regular cleaning in order for them to thrive. Unlike most fish, Bettas have a labyrinth – an organ which allows them to take in oxygen from the surface of the water. This allows them to endure some pretty terrible water conditions – hence their reputation, but ammonia buildup can still hurt them. You should always aim to keep your fish thriving – not surviving. 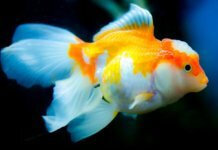 If you’ve ever asked yourself “How often should I clean my Betta fish tank?”, this article is for you. 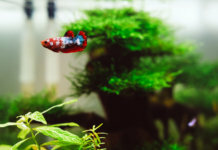 Assuming you’re keeping a single male Betta, the answer can vary based on several factors; the size of the tank, whether you have a filter, and how much you’re feeding your Betta. The general rule of thumb is that a smaller Betta tank needs to be cleaned at least once a week. This tops up oxygen and takes out some built-up ammonia. For example, if you own a tank with less than 4 gallons, replace 30-50% of your water with clean, treated dechlorinated water once a week. If you own a larger Betta tank – 5 gallons or more, water changes don’t need be done that often, as waste takes more time to accumulate in a larger space. Perform water changes every 10 to 14 days and replace no more than 30% of the old water each time. Larger tanks are ideal as they also allow you to use a filter – just remember to keep the flow to a minimum, as Betta fish don’t like a strong current. Proper Betta caring practices are necessary, otherwise you’ll need to clean your Betta tank more often. In order to keep cleaning to a minimum, avoid overfeeding your fish. You should feed a single male Betta a maximum of 6 pellets once a day, or the dissolved waste and leftover food will dirty up the water more quickly. Having a set feeding time also helps prevent overfeeding. How should I clean my Betta fish tank? The two main things to focus on when cleaning are the water and gravel. We recommend staying away from purification chemicals, unless you need them as a last resort in emergency cases to immediately clean up the water. As long as you replace the water in your fish tank in accordance with its size and stocking, you should be fine. You should clean the bottom of your Betta fish tank with a gravel vacuum once every 2 weeks to prevent decaying food and waste from releasing ammonia into the water. If you don’t own a gravel vacuum, gently scoop out your Betta fish with a net and rinse the gravel by hand, but keep in mind that this can be stressful for your fish. If your tank contains decorations, take them out of the water and rinse or scrub them with unchlorinated water. You can even boil some decorations in water so as order to purify them or get rid of dirt. Just make sure never to wash anything with soap, because it’s poisonous to Bettas. 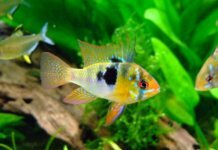 Next articleHow Often Should I Clean My Fish Tank Filter?